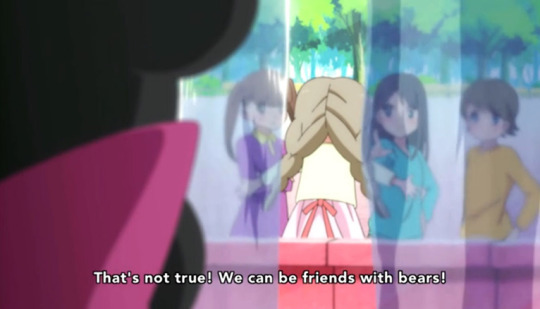 Did you see some unexpectedly familiar faces in Yurikuma episode 11? If something struck you as familiar, it's probably because this is the THIRD time we've seen them, just not in this world. 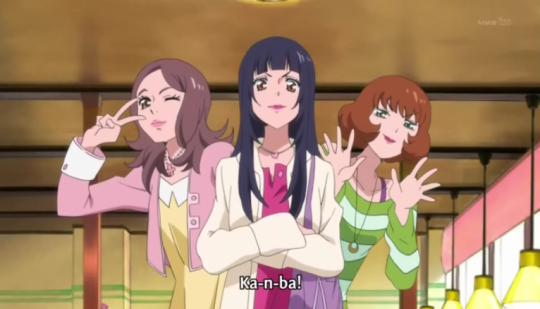 Just take a moment to realize that in every Ikuhara show, there are the same trio of girls who are up to no good. 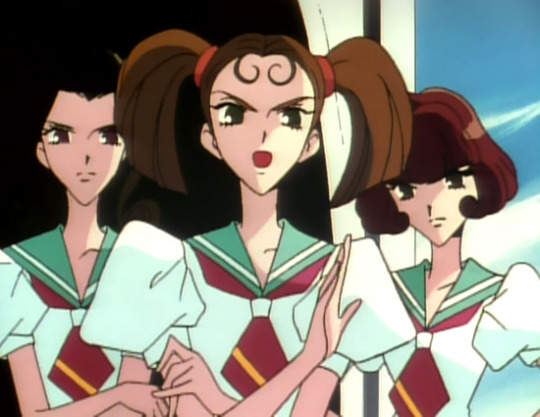 Given their roles in each of these incarnations, I am pretty sure Ikuni means them to be Virgil's Furies: Alecto ("unceasing"), Megaera ("grudging"), and Tisiphone ("vengeful destruction"). I am constantly surprised by how much depth this man injects into even the slightest characters. Hehe, that's pretty cool! Nice catch. They're a very efficient way to summarily depict the social pressure girls are under to fit in. As absurd as they act in SKU, they represent a typical clique, right down to their petty competition. I always liked that about them, but it's definitely a repeating theme in Ikuhara's work to treat 'majority' representations as overall negative. In PD the population at large isn't even depicted as human, just the subway figures.